When Kristy and Brad Clucas’s office romance first kicked off while working at National Australia Bank (NAB), starting a family was low on their to-do lists. But after triumphing together at love, travel, career and the ‘Australian dream’, parenthood soon took a front seat. 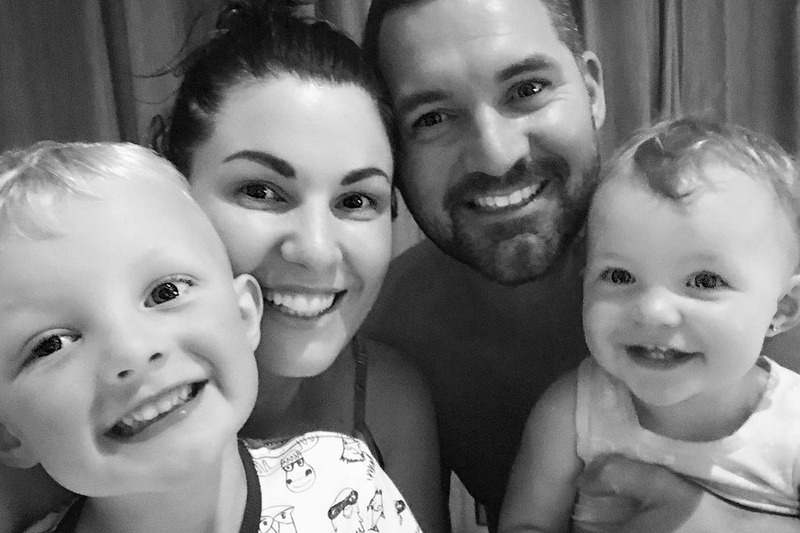 Having children and experiencing life as a stay at home parent has changed both Kristy and Brad’s outlook on life and work, and motivated them to become more empathetic leaders. They give us a unique, couple’s perspective on parental leave, and talk about their life’s greatest achievement – their children. Brad: I joined NAB in 2002 as an entry level phone operator for consumer customers, having previously worked within hospitality and consulting. I told myself I’d work at NAB for three months whilst I figured out what I really wanted to do with my life. Fast forward 16 years and I have had the opportunity to work across Business Bank, Small Business, Retail, and Digital & Direct Banking. Most of these roles have been leadership roles. I am a naturally passionate and engaged leader and value the opportunity to assist others in their own career progression. Currently, I am Head of Sales Transformation for Business & Private Banking, which is a new role and one I’m extremely excited about. Congratulations on being the proud dad of two gorgeous kids. Can you tell us about how becoming a dad has changed your perspective on life? Brad: Becoming a father was an unbelievable experience. I unfortunately lost my father when I was six years old and, whilst my mother remarried an exceptional man many years later, I didn’t have a father for many important childhood years. I had high expectations of the type of father I wanted to be. I wanted to ensure I was present, active, supportive and loving for both my kids, Hudson and Taylor. Becoming a father also increased my appreciation and overall amazement for my wife, Kristy, and women in general. To witness what women endure and what naturally can be produced was amazing. Kristy and I are extremely lucky to have two beautiful, healthy babies who are our world, and they remind us every day to keep things in perspective, especially in the corporate environment we both work in. You were a stay at home dad for four months after the arrival of your second child, so your wife, Kristy, could return to work. Tell us about your experience and what you learnt. Brad: I wanted to keep things simple and within reason. I reminded myself that my time away from work wasn’t a ‘holiday’, but a chance to strengthen my relationship and connection with both of my kids. I’ve heard of others in my situation having big plans to play golf and schedule plenty of other adult activities. My view was that that wasn’t realistic and wasn’t why I’d been given this opportunity. I did, however, want to challenge myself to be active and get out of the house on a regular basis, which we did – it just meant planning ahead. We visited parks nearly every day, had play dates with family, and were able to meet up with some of my friends from school whom I’d not seen for many years but had remained in contact. I also joined a local gym which had child crèche services for 90 minutes a day, so I could stay fit and healthy. I strongly suggest to others taking parental leave to ensure you get your own time and space – it is so important for your health and wellbeing. I watched my kids grow and change every day and I loved it. I observed that they are like sponges – they watch, listen and imitate. I was travelling for work interstate when Hudson started walking, but there was no way I was going to miss when Taylor took her first steps. It was even move special to share that moment with Kristy and Hudson, along with capturing it on camera – I’ll never forget it! I learned to give myself permission to sit on the lounge room floor with Taylor for a couple of hours at a time to interact with her and watch her play. It was times like that when I had nothing else I wanted or needed to do – I was in the right spot and my heart was full. Lastly, I saw a great opportunity to support Kristy returning to work on a full-time basis, both practically and emotionally with the engagement and organisational change challenges she faced. By experiencing parental leave firsthand and witnessing Kristy’s experience returning to work and how it differed from mine, I now have a greater awareness of how taking parental leave can affect people differently. This helps immensely in managing my staff and being empathetic of their thoughts and feelings, both when going on and returning from parental leave. To other leaders of working parents, support and communication is critical for good people management. It was important for you to really ‘switch off’ from work while you were on leave. Why was that? Brad: Kristy and I had always planned on having two kids to complete our family so, effectively, the opportunity to take parental leave wouldn’t occur again. I also wanted to give it my all and dedicate myself to being a present and supportive father for Hudson and Taylor. I would often tell myself that work would always be there upon my return, and the share price wouldn’t decrease whilst I was away (we’re all replaceable)! I placed trust in the colleagues who assisted with my work during my leave period. Most importantly, it was refreshing to power down and focus on what was truly important to me. When you returned to work, there had been a big restructure and you moved into another role. Did this make the experience of going back more challenging? Brad: It was extremely challenging. I met up with my people leader a few weeks before returning to work. We both knew the work environment was constantly changing and a restructuring of the business was required. We discussed my change in role and direction and my expectations, but sometimes with organisational change it’s out of the hands of those you report to. I found that my sense of direction, purpose and belonging was challenged – something I had never before experienced at NAB – but I wasn’t alone as many of my colleagues were in the same boat; they just hadn’t returned from a lengthy period of leave like I had. My personal aim was to work hard, learn from it and add value to those around me. As a passionate people leader who, in the short term, did not have a team reporting to me, I increased my level of mentoring to support others whilst they were feeling emotions and challenges similar to those I had experienced. This again reminded me of the importance of organisational awareness, support and regular communication with staff in challenging situations. As a manager of a large team, how has this experience made you a better leader? Brad: As mentioned, my awareness of things happening around me has increased. As a previous leader of a large team of nearly 200 full-time equivalents, I have learned to put myself in the shoes of my people, and aim to support them wherever I can. I firmly believe I lead by example, firstly by taking the time off to be a full-time stay at home parent, and secondly leaving work where it belongs – at work. Many staff and colleagues have spoken with me about my experience and, off the back of these conversations, have also decided to take the opportunity. This pleases me immensly. I’m sure they’ll feel the same way I did when they’re on leave, and that their perspective will adjust just as mine did. I can’t wait to hear their stories when they return from what hopefully is an amazing time in their lives. 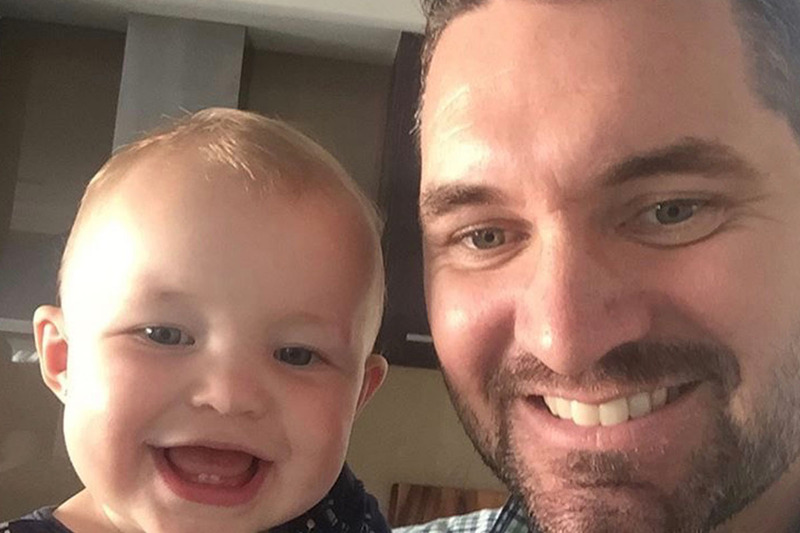 Many men are worried about the impact that taking parental leave will have on their career. What is your advice to other men who are considering parental leave? Brad: Firstly, I hope that men don’t feel they should be more worried about returning from paternity leave than women. I think, historically, the impact on career has been much more difficult for women and we should aim for societal change to improve this. I returned to what is one of my employer’s biggest organisational changes in its 150 year history. Regardless, circumstances with your employer will most likely change at some point, and my best advice is to pay attention, learn from change and take it in your stride. Do I personally believe paternity leave impacted my career? No, not in a negative way. I’ve recently commenced a new and exciting role, however had a couple of other opportunities to consider also. If anything, the response from senior executive when I tell them about my parental leave has been filled with undoubted positivity and support. Many of them want to know if I had dinner on the table and the house clean when Kristy returned from work! I believe I did, though I did get some ‘coaching’ from Kristy on my ability (or lack of) to dust the house, which we often have a laugh about! In my opinion, men need to understand that work shouldn’t take priority over their kids. As a leader, I often tell my team that in no particular order your priorities in life should be: family, friends, health and happiness. It doesn’t mean when you come to work you don’t do your best, but I’ve yet to have someone give me a good enough argument that work should replace any of the above four priorities. In 40 years’ time, my gravestone will have my kids’ names on it, not my employer’s. And I hope it says I was a loving, supportive and present husband and father, which is what I strive to be. Both you and Kristy have quite senior roles. How do you practically manage the juggle of family and work? Brad: Our first call out of thanks would be to our parents. We’re extremely lucky to have them in our lives and we love watching our kids with them – it gives us so much joy. They help wherever they can, but we’re clear that it should be fun for them and in no way a chore. We’re mindful they’re at a life stage that’s about enjoyment, not about having to work looking after our kids. We’ve also had our first experience employing an au pair for the last four months. We’ve found it to be a cost effective way to ensure the kids are well looked after, whilst also offering a cultural experience to a young traveller who is passionate about kids. In saying that, our au pair leaves for Canada in a couple of weeks and we’ve enrolled the kids in daycare and kindergarten whilst we find a new carer. The right person must have similar values and fit in well with our family dynamic. Kristy and I discuss logistical requirements every day, and on weekends take on a forward view of the upcoming week and how we will juggle personal and work commitments which may come up from time to time. Most importantly, we make sure we’re out of work and home in time to enjoy dinner with our kids, play with them, read to them and put them to bed. We can always respond to any work needs after that, but being home for dinner with the kids ensures we are active parents and there for them. It’s important for them and for us, so we’re making sure we stick to it for everyone’s benefit. Kristy: I joined NAB as a relieving teller in early 2006 in the regional town of Hamilton where I grew up. My initial thoughts were very similar to Brad – I had planned to live with mum and dad for a few months, save some money and then head overseas. I never envisioned that I would still be at NAB 12 years later. In saying that, I have been able to challenge myself, develop personally in ways I’d never imagined, and meet the man who is now my husband and father of our two beautiful children. How did you find the experience of going on parental leave? Was it easier or harder the second time? Kristy: I found heading off on parental leave quite easy to be honest. My priority at the time was to bring a healthy child safely into the world. My people leaders during both pregnancies were very supportive and my peers sent me off with some beautiful gifts and great advice. I didn’t find the second time around much different, although the pregnancy itself was harder. Working full-time, with a toddler in daycare and a husband travelling every other week was difficult practically, and sometimes very tough on me mentally. By the time my parental leave came around, I couldn’t wait to get out of there! Did having Brad at home as a stay at home dad make the transition easier for you to go back to work? Or was it hard to ‘let go’? Kristy: I found it really bittersweet. I was happy to head back to work, as having two kids at home was all consuming and I felt I needed some ‘adult time’. But I also felt I was missing out on time with Taylor that I had had with Hudson. I was on parental leave with Hudson until he was 13 months old, then went back to work three days a week. Second time around I was heading back to work when Taylor was only nine months old. It absolutely made it easier that Brad was going to be home with them, as I really wanted him to have that time with the kids, but it did take some getting used to. Having a child can really affect your sense of self. How did you find the transition into motherhood? Kristy: I was so ready to have children. Before meeting Brad, I wasn’t sure I would ever have children, but after a lot of travel, buying our first home together, getting our dog and working really long hours, there was just something missing. What was all this hard work for if we didn’t have something bigger than ourselves? That is when I knew I was ready to be a mum – I couldn’t wait! So, for me, becoming a mother was about growing and becoming a better version of myself. I think it has helped me find my sense of self. I have never been defined by my career or my pay packet – becoming a mother has been the greatest achievement of my life. It can often feel like having kids and a career are mutually exclusive. What are your thoughts on this? Kristy: This is a really hard question to answer. I see some people achieve both but from my experience, since having children I believe I am perceived differently in the workforce. Before having Hudson, Brad and I had less than $10,000 difference in our salaries. Since Hudson was born, Brad’s salary has doubled while mine has moved a little over $20,000 in five years. This is not to say this wouldn’t have happened if I didn’t have children, but it does make me wonder where I would be now had I not become a mother. Before returning to work after having Hudson, I was super excited and so ready to get back. I was really keen to be a mum and have a career. This changed though, and I find it difficult to explain how disappointed I was a couple of weeks in – I remember getting in the car after work in tears; it was a really horrible time for me. What do you think the biggest barriers are for women to move into senior leadership roles? What needs to change? What can companies practically do to better support women? Kristy: The idea of a standard work week needs to change: flexible working is offered and promoted however it is still frowned upon. Being present for my children is so important. Brad and I often get home, have dinner with the kids, put them to bed and then log back on to finish up some work. I look at the majority of female senior leaders and they either don’t have children or their children have grown up. This tells me that until I have the ability to give up some of my childcaring time, I really won’t have much career progression. Although, I don’t see the same barriers for males in senior roles. Has Brad going on parental leave brought more equality on the home front now that you are both back at work (i.e. sharing of domestic and caring duties)? Kristy: To be honest, Brad has always been pretty good with helping around the house. He enjoys cooking and, albeit he may not be the best cleaner going around, he definately isn’t too scared to pick up the vacuum cleaner. It has absolutely helped Brad understand what items we need to take with us when we head out of the house. Previously, he would throw the kids in the car with only himself and his wallet, but after a few trips out and about while on parental leave, he now understands the essentials that need to be in the bag! Kristy: Never underestimate yourself, take risks and with every challenge comes a lesson.